An ethereal one hour tale. 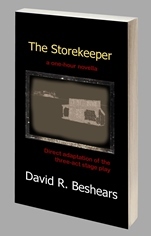 This novella is a direct adaptation of the three act stage play. screenplay and a pilot for an anthology television series.